Blunt emo bangs can also look cute! 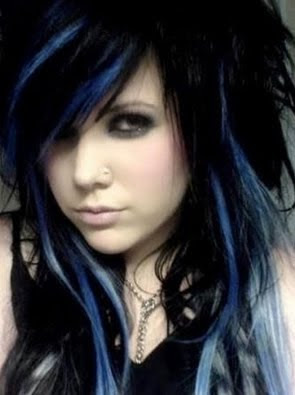 Side emo bangs with cute blue streaks among raven black hair. I love me some emo hair bangs!